Its my last halloween card for this year! This week's WOODAWARE USA challenge is Halloween Colors. So today I used a non halloween image with few seasonal papers and some supplies from my backyard to make a Halloween card..
How cute is that puppy witch on the broom!!! I've used A Dog's Life stamp set. Just tied some Raffia to a piece of twig to make the flying broom... then added witches hat to the cute puppy. 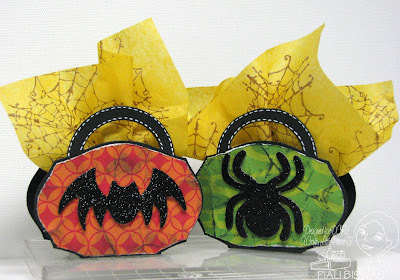 The lovely halloween themed paper is from Cosmo Cricket ~Matilda collection. Labels: cosmo cricket, crafty catz, daring cardmakers, diecutsrus, eat sleep stamp sketch, halloween, woodwareUSA stamps. 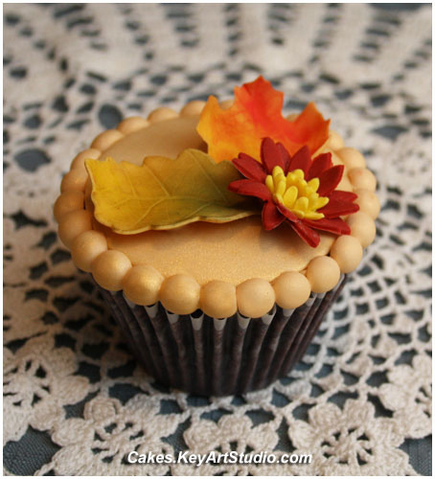 Its time for Yummy CUPCAKE INSPIRATION CHALLENGE,CIC#83..
A beautiful fall themed cupcake!!!! 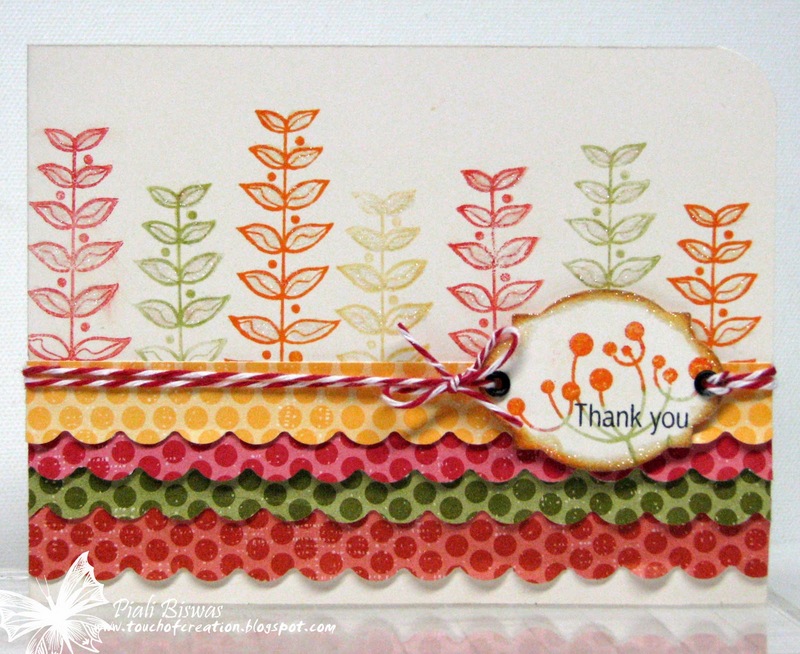 I've used the FLORA stamp set from WoodwareUSA for my card today. The lovely polka dotted DP is from Papertrey ink.I've added lot of glitter to the stamped leaves..it looks very pretty up close. Twisted sketches: Sketch + Glitter. 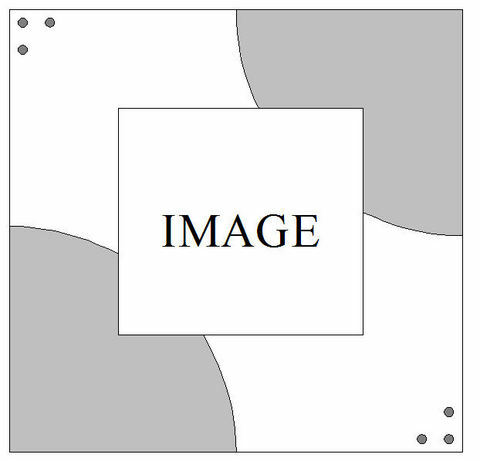 Our Daily Bread Designs - either sparkle, dies or texture . A Spoonful of Sugar - let's get punchy. Creative Card Crew - let's punch it. Crafty Creations - Halloween or Autumn. Simon Says Stamp - punch 'em. ANITA, DENIMO, IDA, LISA, NINA, RACHEL. So play along with us...post a direct link to your project HERE by NOV 6th..
Labels: cupcake Inspiration, twisted sketches, woodwareUSA stamps. Hello & Happy Sunday Everyone!!!! 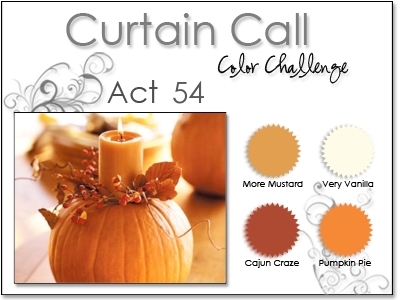 Here is this week's CURTAIN CALL color challenge!!! I've used the lovely Bountiful Blessings stamp set from There She Goes and some Cosmo Cricket ~ Nutmeg & PTI DP for my card. Catch The Bug- fall or autumn colors . 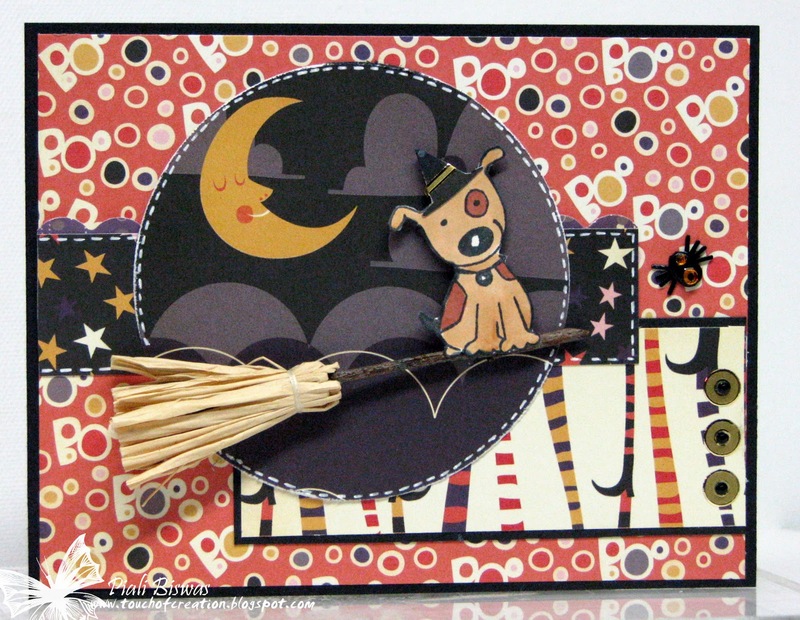 Stampin' for the Weekend - halloween or fall. 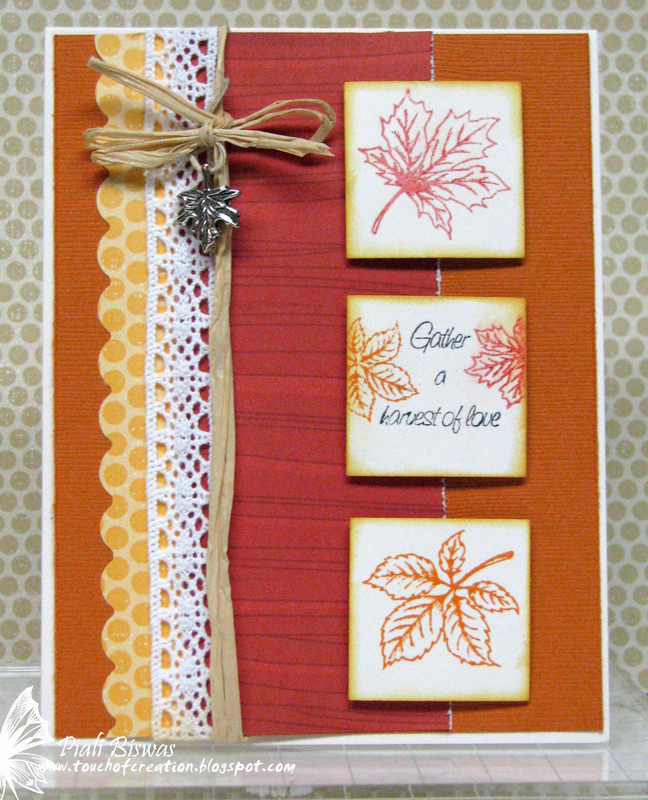 Easy Craft Projects - Autumn or fall. City Crafter - Autumn leave falling. I Did It Creations - add a charm. 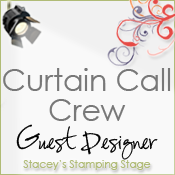 and October Guest Designer, Karen Thomas ~ Luv to Stamp. 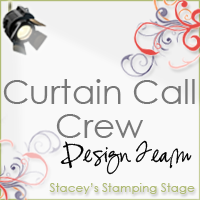 ...then play along with us and post your Curtain Call Color Challenge Act #54 creation using Mr. Linky over at Stacey's Stamping Stage. 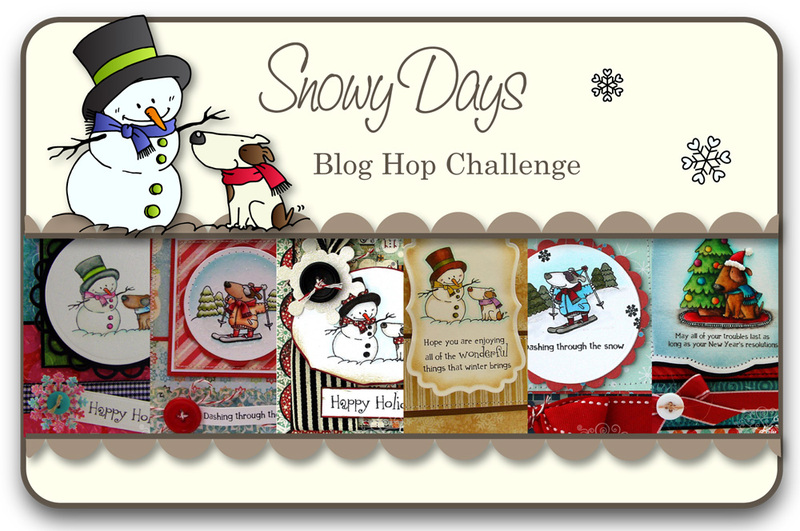 TSG~Snowy Days Blog Hop Challenge! Welcome to Day 3 of There She Goes October Release Blog Hop challenge ! Hopefully you've come to my blog from Natalie's blog, but if not, please hop over to TSG BLOG to start at the beginning . 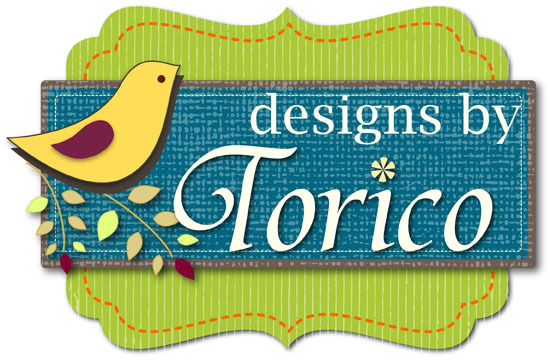 Today we're showcasing a super ADORABLE stamp set designed by Torico. Snowy Days is a 4x6 stamp set that includes a total of 17 of stamps and will sell for $15. One more fabulous Puppy themed stamp set by Torico .....perfect for Winter days!!! 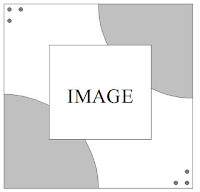 You're going to love each and every images for sure! 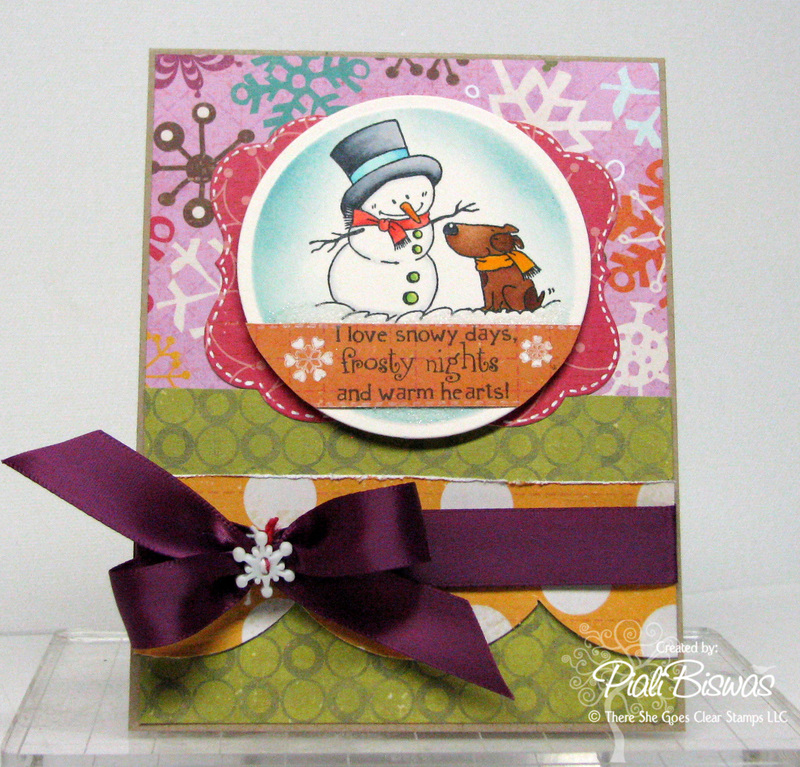 Here is fun winter card...I love non-traditional colors and this one is too colorful, I'm sure it will brighten up any snowy day. 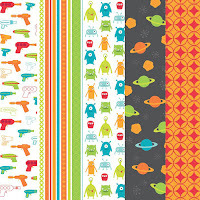 Love these papers from Crate Paper~ Snow Day collection..
Next image is super cute!!!!! Thepapers are from Echo Park~ Merry Christmas collection. Did you all see that I'm using my In Stitches stamp set for all my stitching now....just love it! Also added few oval rhinestones from Pizzazz Aplenty. Paper Pretties - square cards . 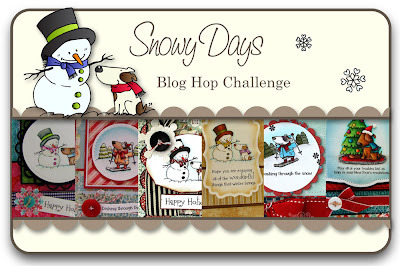 Would you like a chance to win the Snowy Days stamp set? Here’s what you need to do- go to each of the Trendsetter’s Blogs and leave a comment on their Snowy Days Blog Hop Challenge post. After you have finished checking out the eye candy and have left some love, return to the TSG Blog and add your name to the Mr. Linky at the bottom of this Blog Hop Challenge post. A winner will be chosen randomly using a random number generator to receive their very own Snowy Days stamp set. The winner will be announced Saturday (Oct. 30th) during the Release Party Chat. 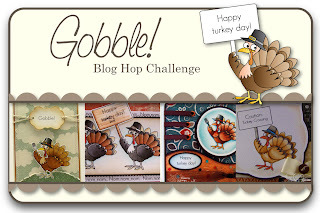 TSG~Gobble! 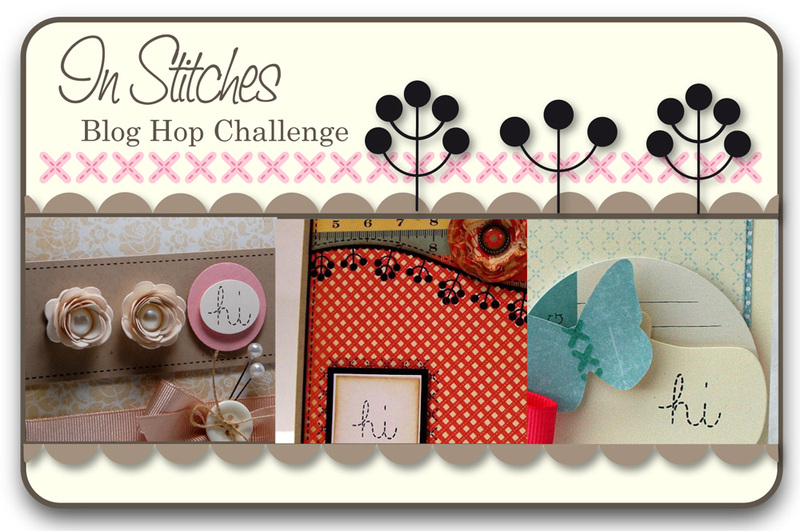 / In Stitches Blog Hop Challenge!! 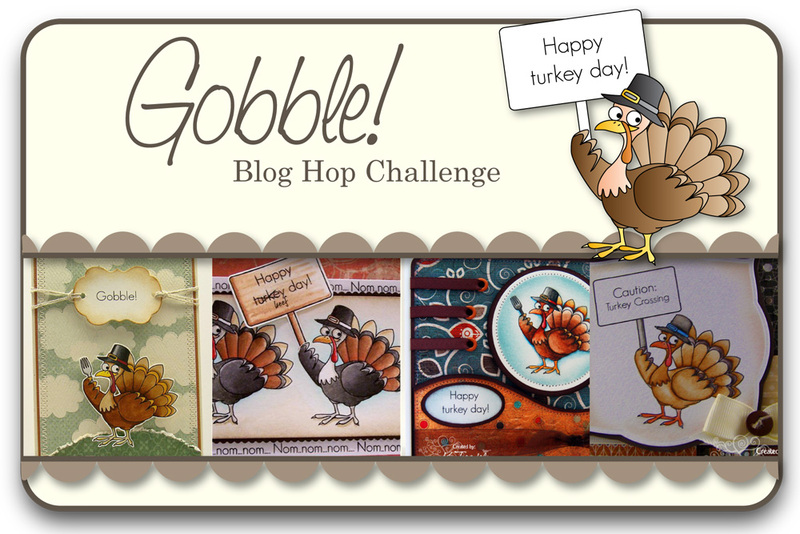 Welcome to Day 2 of There She Goes October Release Blog Hop challenge ! 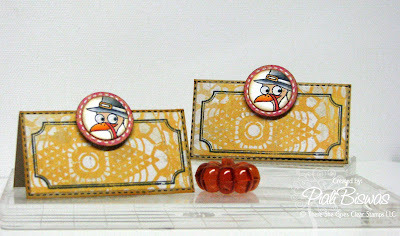 First one is the cutest set ever~ GOBBLE!....perfect for Thanksgiving!!! Gobble! 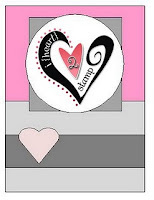 is a 3x4 stamp set that includes a total of 13 of stamps and will sell for $7. Love the look on that Bird.... super cute!!! I've paired Mercy's Tuesday sketch and Crate Paper~ Restoration collection paper for this card. My daughters love thanksgiving dinner...Anushka makes place cards for everyone, this year I'll surprise her with these cute place card! 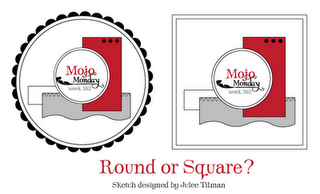 Next comes the most trendy set...its a must have for any crafter! 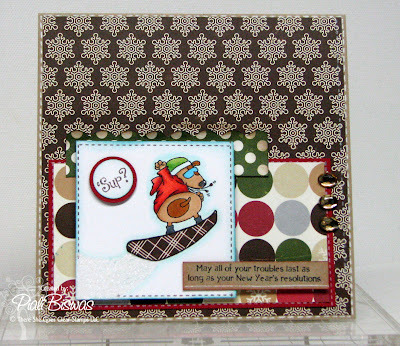 In Stitches is a 2x6 stamp set that includes a total of 7 of stamps and will sell for $7. 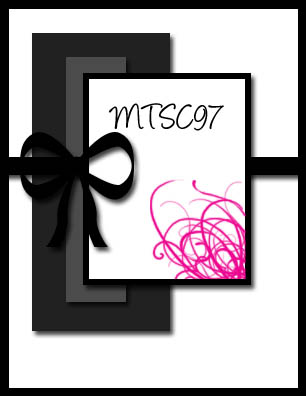 This mini set not only has some beautiful silhouette border images but it also includes two styles of stitching ! I looooove this set....no more gel pen faux stitching for me!! Its fun to work with....I used two different cross stitch stamps from this set and stamped them in layers for this fab background! 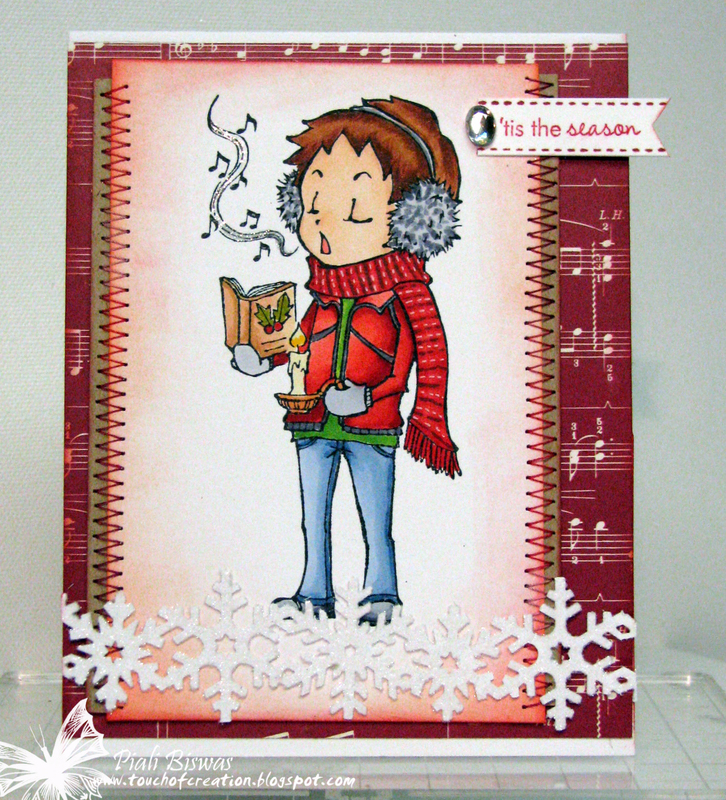 The card sketch is from this week's CPS challenge.. 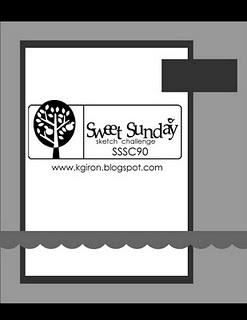 Thanks for stopping by.. hope to see you all tomorrow for the Day #3 of TSG bloghop.. The musical note paper is from Echo Park~ Merry Christmas collection. The sentiment is from Papertrey Ink...the oval rhinestone is from Pizzazz Aplenty. Paper Players - 1 DSP, punch something, add a sentiment . Marks Finest Paper - die cuts or a punch . 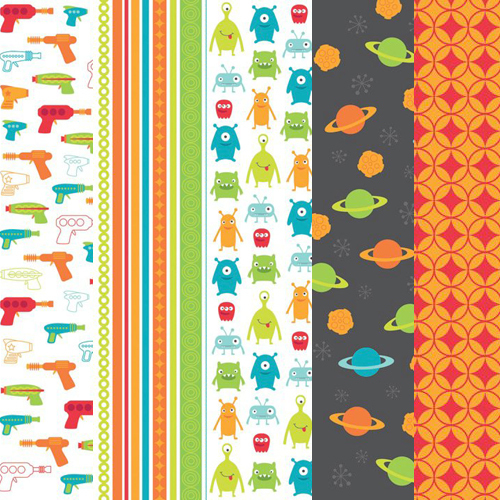 Today we're using lovely TCP Studio's Rocket and Rayguns 6x6 paper samplers.. Available for just $2.75 only!! Paper Playtime - Halloween . Ooh La La Creations - Scary stuff . Cupcake Craft - Sweet treats. Aly's Sunday Challenge - Distressed . Welcome to Day 1 of There She Goes October Release Blog Hop challenge ! Bountiful Blessings is a 4x8 stamp set that includes a total of 18 of stamps and will sell for $18. This stamp set is fabulous collection of images and sentiment... I love it!! The images are so detailed and artsy! 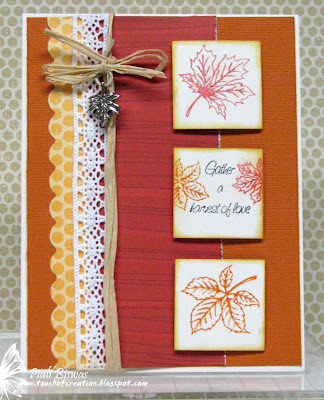 This card is also for Daring Cardmakers ~Autumn leaves challenge. Would you like a chance to win the Bountiful Blessings stamp set? Here’s what you need to do- go to each of the Trendsetter’s Blogs and leave a comment on their Bountiful Blessings Blog Hop Challenge post. After you have finished checking out the eye candy and have left some love, return to the TSG Blog and add your name to the Mr. Linky at the bottom of this Blog Hop Challenge post. A winner will be chosen randomly using a random number generator to receive their very own Bountiful Blessings stamp set. The winner will be announced Saturday (Oct. 30th) during the Release Party Chat. Thanks for stopping by.. hope to see you all tomorrow for the Day #2 of TSG bloghop..
Hello and Happy Monday Everyone!!! Here is TSB’s first weekly challenge! TSB challenges will be held every Monday, starting always at 12:00am EST, with the challenge closing on Saturday, 11:59pm EST and the winners being announced on Sunday. First prize consists of two (2) digis of choice from the TSB store. One honorable mention will receive a prize of one (1) digi of choice from the TSB store. 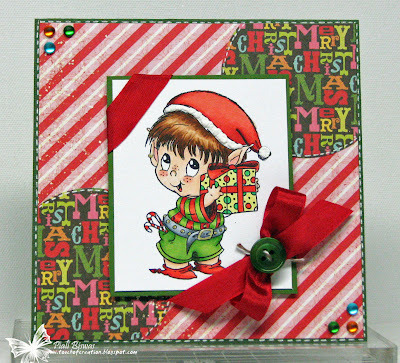 I used our brand new Little Elf with Present ..this cutie is available in the TSB store starting today!!! The lovely holiday themed DP is from Echo Park~ Everybody Loves Christmas. I've have used my new favorite embellishment...Frosted Pearls . I got them from Pizzazz Aplenty..very pretty!! Crafty Pad - Christmas . Stamp Something - use something digi . Crafty Emma - buttons and bows. 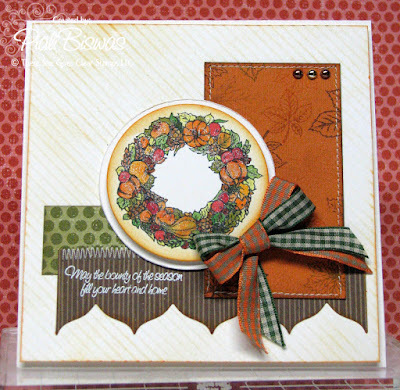 Labels: Copics, diecutsrus, digi images., echo park, holidays., pizzazz aplenty, stamp something, The Stamping Bazar. 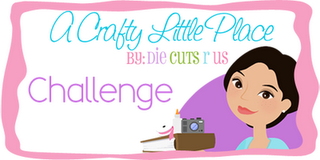 Inky Impression's Anything Goes challenge..
Are you up for a Teasure Hunt???????? ?